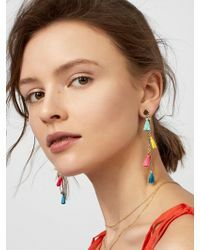 We check over 450 stores daily and we last saw this product for $26 at BaubleBar. 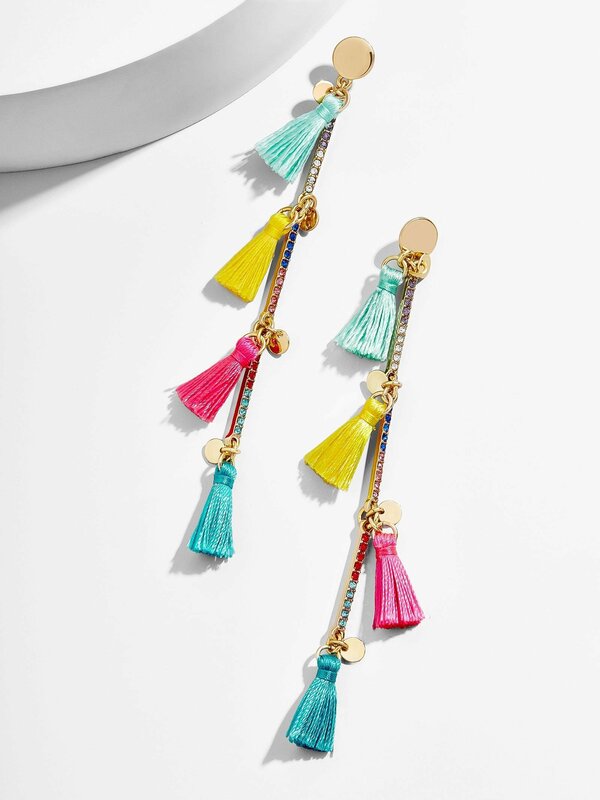 14k Yellow Gold Hoop Earrings/1"
Take your love for tassel earrings to a new level of affection with these oh-so chic extras. 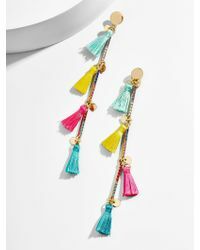 Lush thickets of colorful tufts combine with colorful pavé, while an elongated silhouette lends dramatic movement fit for any occasion. Zinc casting, faux silk thread, glass stones, surgical steel posts. Shiny gold plating. Post back. Hypoallergenic. Length: 3.61". Width:. 07". Barely there weight:. 07 oz.